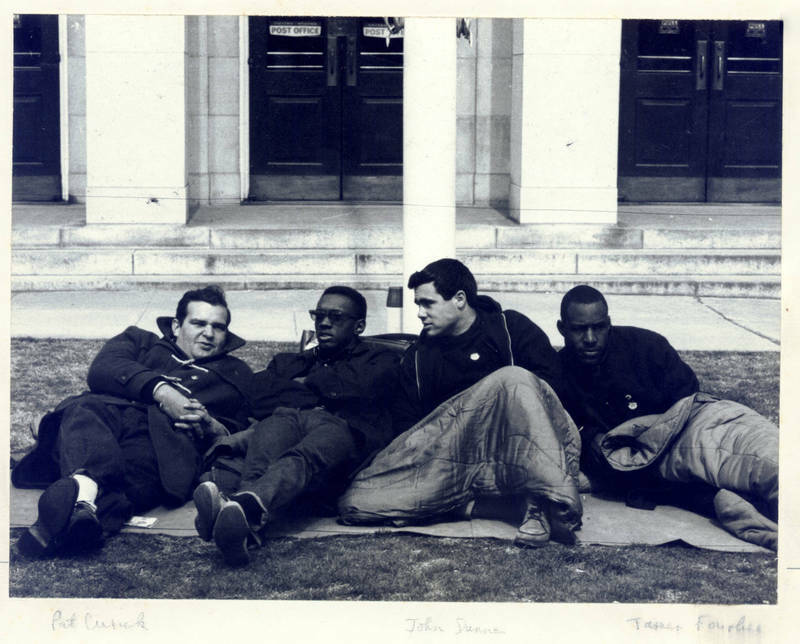 During Easter Week of 1964, two black activists and two white students started a fast on the post office lawn on Franklin Street. The Ku Klux Klan responded with a rally in town. Over that summer, Congress enacted the Civil Rights Act of 1964, banning segregation in all public facilities, and Chapel Hill establishments complied with the law. Already under attack due to protests surrounding the Speaker Ban Law, the university tried to remain neutral during these demonstrations.